Sarah K. Bruch’s research focuses on the processes and policies that ameliorate or exacerbate social inequalities. In this vein, she studies the political and civic consequences of social policy designs; the distributional and social consequences of US safety net policies; the role of racial marginality in state policy choices; authority relations and racial dynamics within schools; and how multiple dimensions of race can be used to identify different mechanisms of racial disparities in education and punishment. Her work has been published in leading academic journals including the American Sociological Review, Sociology of Education, Journal of Marriage and Family, and Child Development. Elizabeth Maddock Dillon is Founding Co-Director of the NULab for Maps, Texts, and Networks and teaches in the field of eighteenth-century transatlantic literary studies. 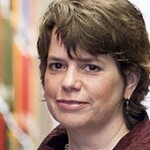 She is also the co-director of the Futures of American Studies Institute at Dartmouth College. Her work in the field of digital humanities includes projects involving text-mining and mapping of early African American texts and slave narratives, digital archival work in early Caribbean texts, and work mapping the reprinting of materials in nineteenth-century U.S. newspapers. She is one of the founders of the award-winning Our Marathon project: a crowd-sourced archive of the Boston Marathon bombings. She is the author of New World Drama: The Performative Commons in the Atlantic World, 1659-1859 (Duke University Press in 2014) and The Gender of Freedom: Fictions of Liberalism and the Literary Public Sphere (Stanford University Press, 2004) which won the Heyman Prize for Outstanding Publication in the Humanities at Yale University. She is also co-editor of the forthcoming volume, The Haitian Revolution and the Early U.S.: Histories, Geographies, and Textualities (University of Pennsylvania Press). Steven E. Jones’s interests include Romantic-period literature, textual studies–about the production, transmission, and reception of texts of all kinds in any media–and digital humanities. He's author of numerous books and articles, including The Emergence of The Digital Humanities (Routledge, 2013), (co-authored with George K. Thiruvathukal), Codename Revolution: The Nintendo Wii Platform (MIT Press, 2012), The Meaning of Video Games (Routledge 2008), and Against Technology: From the Luddites to Neo-Luddism (Routeldge, 2006). He is currently researching the history of the collaboration between Jesuit linguist, Fr. Roberto Busa, and IBM (1949-1955), often said to mark the beginning of humanities computing. He will be with the Graduate Center for the full academic year. Don Kalb’s books include Expanding Class: Power and Everyday Politics in Industrial Communities, The Netherlands, 1850-1950 (Duke University Press), 1997; (ed.) The Ends of Globalization. Bringing Society back in, (Rowman and Littlefield Publishers), 2000; (ed.) Globalization and Development: Key Issues and Debates (Kluwer Academic Publishers), 2004; (ed.) Critical Junctions: Anthropology and History beyond the Cultural Turn (Berghahn), 2005; (ed.) Headlines of Nation, Subtexts of Class: Working Class Populism and the Return of the Repressed in Neoliberal Europe, (Berghahn) 2011; and (ed.) Anthropologies of Class (Cambridge U.P) forthcoming. He is Founding Editor of Focaal – Journal of Global and Historical Anthropology. Yuri Kazepov is a founding member of the Network for European Social Policy Analysis (ESPAnet) and was the president of RC21, of the International Sociological Association (2010-2014). His fields of interest are urban poverty and governance, citizenship and urban inequalities, social policies in compared and multilevel perspective. On these issues he has been carrying out comparative research and evaluation activities for the European Commission and other international bodies. Among his publications in English we have (2005) Cities of Europe. Changing contexts, local arrangements and the challenge to social cohesion (ed. ), (2010) Rescaling social policies towards multilevel governance in Europe; (2013) Social assistance governance in Europe: a scale perspective (with Eduardo Barberis). He received his PhD in Sociology from the University of Milan (Italy) in 1994. Marco Martiniello received his PhD in Political Science at the European University Institute Florence and is currently the Research Director at the Belgian National Fund for Scientific Research (FRS-FNRS). He is the director of the Center for Ethnic and Migration Studies at the University of Liège and a member of the executive board of the European Research Network IMISCOE. He has been President of the Research Committee n°31 Sociology of Migration from 2008 to 2014. He is the author, editor or co-editor of numerous articles, book chapters, reports and books on migration, ethnicity, racism, multiculturalism and citizenship in the European Union and in Belgium with a transatlantic comparative perspective. His most recent work includes A Transatlantic Perspective (Routledge 2009), Selected Studies in International Migration and Immigrant Incorporation (co-edited with Jan Rath, Amsterdam University Press, 2010), La démocratie multiculturelle (Presses de Sc Po, 2011), An Introduction to International Migration Studies. European Perspectives (Amsterdam, Amsterdam University Press, 2012) (with Jan Rath), Penser l’Ethnicité (Liège, Presses Universitaires de Liège, 2013). His current research examines the artistic expression and participation of immigrant, ethnicized and racialized minorities in super-diverse cities and countries (Australia, South African, USA, Belgium and Italy). Paul M. Ong has a master’s degree in urban planning from the University of Washington and a doctorate in economics from UC Berkeley. He is the current director of the Center for the Study of Inequality and senior editor of AAPI Nexus: Asian American and Pacific Islander Policy, Practice and Community. He was the chair of UCLA’s Department of Urban Planning, director of the Lewis Center for Regional Policy Studies, acting director of the Institute for Industrial Relations, and founding director of UC AAPI Policy Program. He has conducted research on immigration, civic and political participation, economic status of minorities, welfare-to-work, health workers, spatial inequality, and environmental inequality. He has served on advisory committees for California’s Employment Development Department and Department of Social Services, the South Coast Air Quality Management District, the Getty Research Institute for the History of Art and the Humanities, the California Wellness Foundation, the California Community Foundation, the U.S. Bureau of the Census, and the National Research Council. Karen Phalet’s recent work develops comparative perspectives on school diversity and ethnic inequality and on the religious identities of Muslim immigrant youth in European societies. Her current project studies the interplay of social boundaries in European schools with the social ties and identities of Muslim youth. 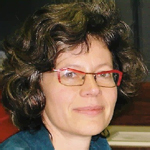 She received her Ph.D. from the University of Leuven in 1993 and has since been the author of numerous publications in ethnic and migration studies, social psychology and sociology journals and books. She was a 2013 Society for Personality and Social Psychology Fellow. She will be with CUNY for the Spring 2015 term. Andrew Stauffer directs the NINES digital initiative (http://nines.org) and teaches in the Rare Book School at the University of Virginia. He is the author of Anger, Revolution, and Romanticism (Cambridge UP, 2005) and the editor of works by Robert Browning (Norton, 2006) and H. Rider Haggard (Broadview, 2006). He served at PI on a Google grant for the development of Juxta Commons and an NEH grant for an institute on the evaluation of digital scholarship. His current work focuses on the history and future of the nineteenth-century print record, with specific attention to issues of digitization, book history, and library collections management. He received his Ph.D. from the University of Virginia in 1998. He will be with the Graduate Center for the full academic year. Massimiliano Tomba’s research focuses mainly on modern German philosophy, critical theory and globalization. He is co-organizer of an initiative titled ‘Next Generation Global Studies (NGGS)’ which aims at reconsidering predominant schemes of interpretation of global societies in order to overcome prevailing Eurocentric perspectives of political space and time. His work has involved theorists such as Kant, Hegel and post-Hegelian thought, Marx, Walter Benjamin, and Theodor Adorno. Among his publications are Krise und Kritik bei Bruno Bauer. Kategorien des Politischen im nachhegelschen Denken, Frankfurt am Main, Peter Lang, 2005; La vera politica. Kant e Benjamin: la possibilità della giustizia, Macerata, Quodlibet, 2006; Marx’s Temporalities, Leiden, Brill, 2013. He received his Ph.D. from the University of Pisa in 2000.